The Mil Mi-24 is a large combat helicopter gunship and low-capacity troop transport operated from 1976 by the Soviet Air Force, its successors, and over thirty other nations. Its NATO reporting name is Hind and variants are identified with an additional letter. 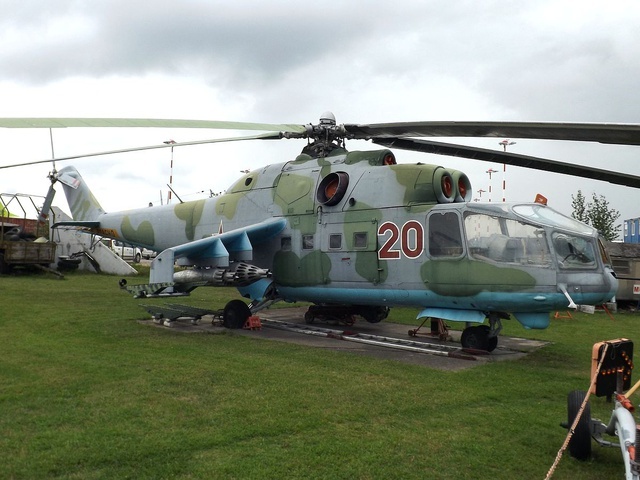 The export versions, Mi-25 and Mi-35, are denoted as Hind D and Hind E respectively. Soviet pilots called the aircraft 'letayushiy tank' or flying tank. 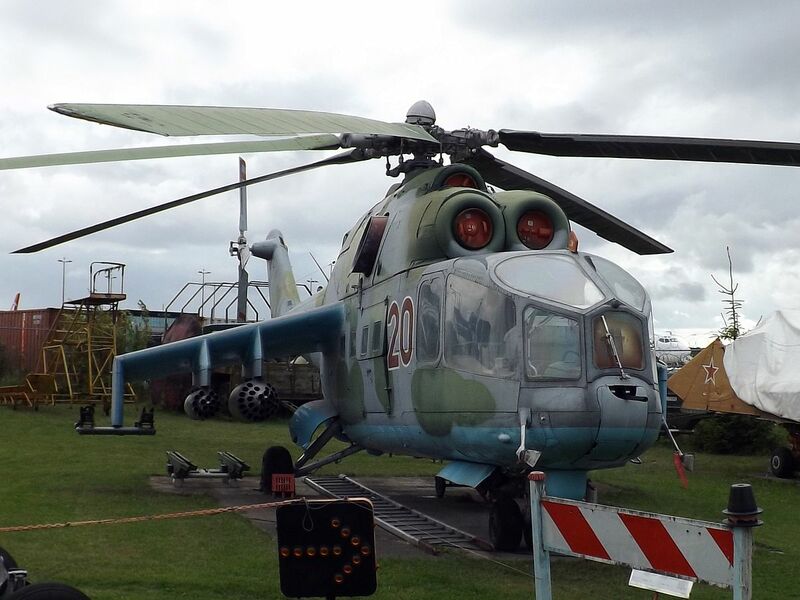 Another common nickname is 'Krokodil' (Crocodile) - due to the helicopter's camouflage and hull shape.